I just learned about a great interactive Periodic Table of the Elements from my PLN (personal learning network) on Twitter. 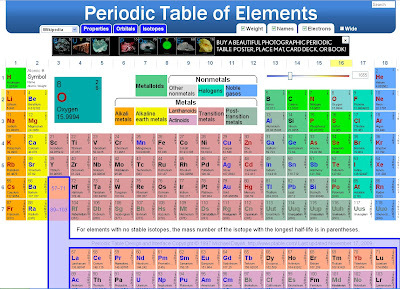 This interactive Periodic Table of the Elements is great and loaded with features. As you move your cursor over an element, the information for that element is shown larger above the table. If you click on an element, a pop-up window launches with more detailed information about the element (courtesy of Wikipedia). When you move your cursor over a category of elements (halogens, alkali metals, etc. ), those elements highlight, and the rest fade to grey. 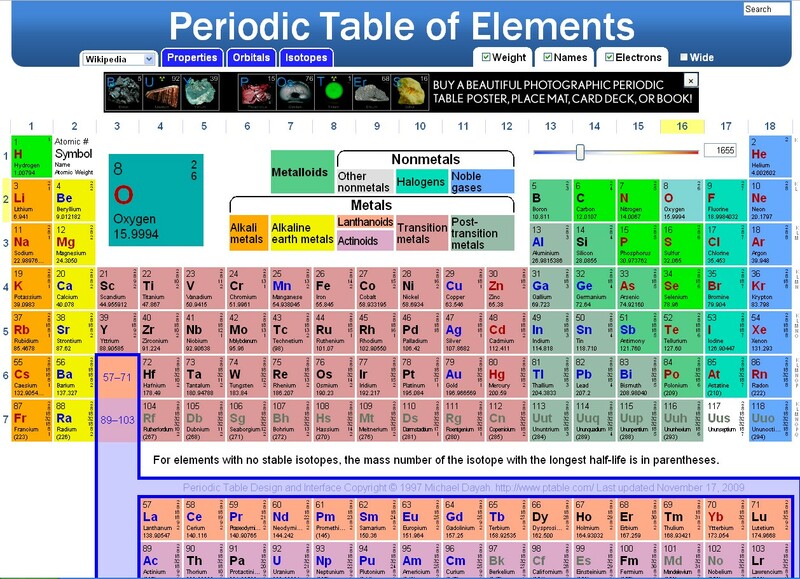 It will also show the properties, electron orbitals, and isotopes for each element. And, you can adjust a temperature slider and it will color code the elements based on their phase at that temperature (solid, liquid, gas, or unknown). This is a really useful, informative, and fun periodic table to use with your classes.